Iris brings over a decade of hands-on contracting, property management, and real estate experience to Terracorp. Prior to Terracorp, Mr. Husic worked at Eden Housing, a company focused on building and managing affordable housing communities throughout the state of California. 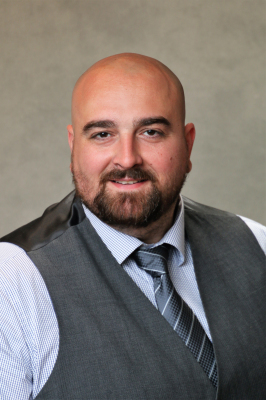 Mr. Husic collaborated with executive staff to maintain the financial health of multi-family communities while leading large teams in the acquisition and rehab of newly acquired properties. His focus in property management had made him adept dealing with personnel, vendor, and asset management matters. Mr. Husic started his career in the construction industry. He brings those talents to bear to maintain the physical health of the sites under his care, using his own knowledge along with long-term relationships with business-owners to lead capital improvement projects. In addition to having spent time volunteering on committees for the Affordable Housing Management Association, Mr. Husic is involved in projects to mentor youth. For over three years, he has been involved with the “All-Star Program”, an annual six-week program where Bay Area youth are introduced to professional industries. He coaches and mentors students on how to conduct themselves in a professional environment.